Note: This workout is conducted over a 8:00 running clock, and provides the intense stimulus of the Tabata Interval, while combining the “Large Load – Long Distance” of both gymnastics and weightlifting modalities. The result is an “Old School Circa 2012” original CrossFit HQ workout that is an amazing training session. In this workout, “Every Repetition Counts!” Although this workout was originally programmed for 135lb. for men, and 95lb., for women, today we will be training at 60% of of your 1RM. In the early days of CrossFit, Coach Glassman’s recommendation was for men to ultimately achieve a 225lb. Clean and Jerk, which interestingly enough, netted a 135lb. load for todays workout. 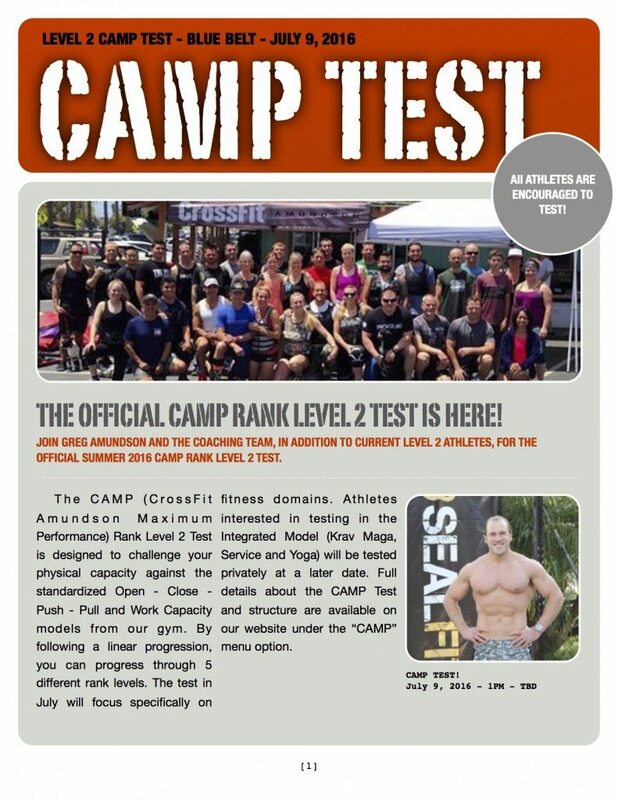 CAMP Level II Test is this Saturday!